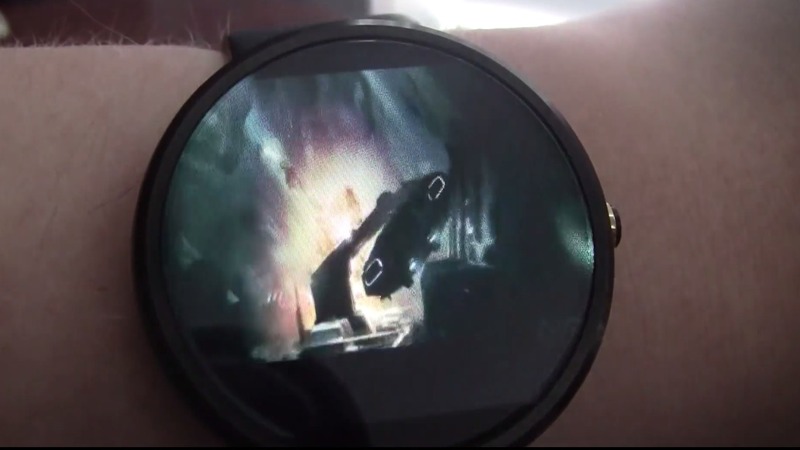 If you've ever fancied watching an entire feature film on your wrist then your dream has just come true. Serial Android Wear modder Corbin Davenport has gone under the hood with his Moto 360 to enable it to play a full movie. The secret, he said, is finding the right apps to run on the device. Instead of finding movie players like VLC or MXPlayer, he chose the relatively obscure QQ Player from Google Play. That's because most movie players rely on a device's GPU to decode the video, which would crash Android Wear immediately. Software decoding apps work just fine, as Davenport's YouTube video shows. It's not the first time that Davenport has got his hands dirty with Android Wear. If you remember the videos of Windows 95, Doom and Minecraft running on Google-based smartwatches, that was all his handiwork too.